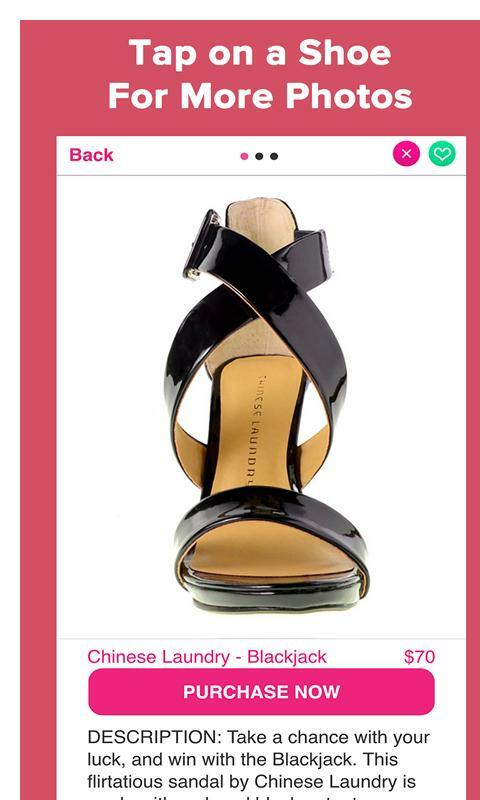 Shoe Swipe is Tinder for Shoes. 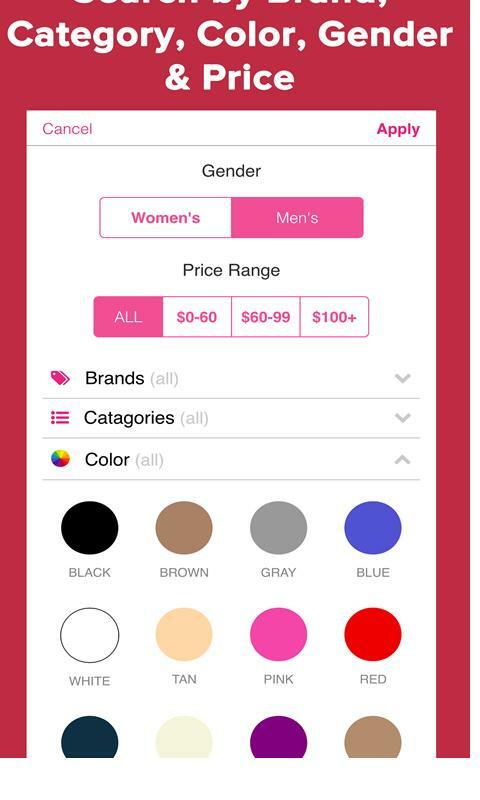 The quickest App to shop for shoes and footwear online - a paradise for the fashionistas, sneaker heads and boot lovers! 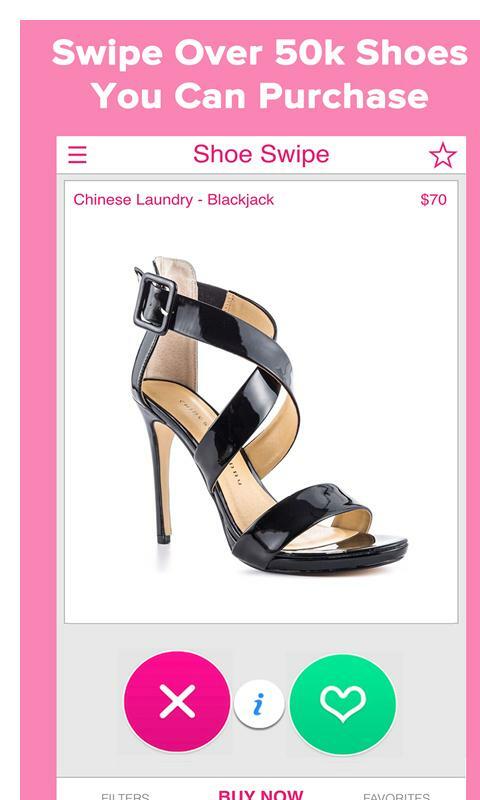 “If you’re the type of person who knows exactly what you like the moment you see it, and the thing that you like is Shoes, you’re going to love Shoe Swipe.” BuzzFeed Over 500 Brand Names like: Aldo, Jessica Simpson, Cole Haan, JustFab, Steve Madden, Tory Burch, Chinese Laundry & Nine West just to name a few! 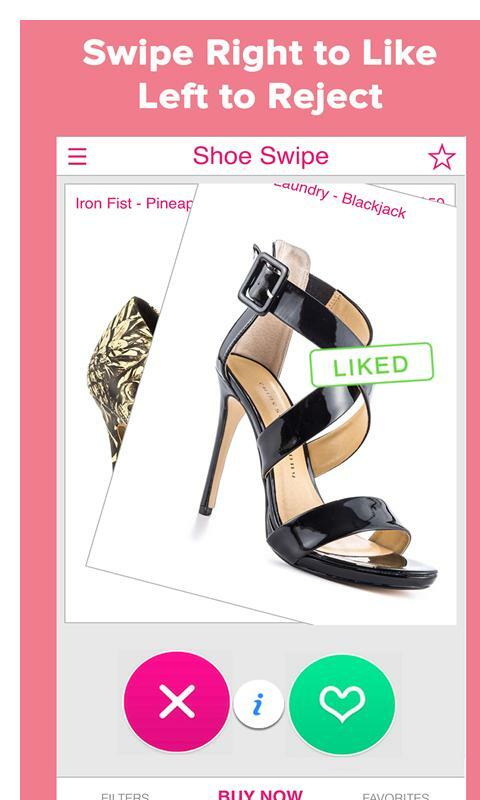 Using Shoe Swipe is simple - Swipe right to like, or left to reject. All the shoes you like can either be purchased later or directly purchased without being favorited! We have over 40,000 brand name and clearance men and women's shoes to buy. You have the ability to filter shoes by Brand, Color, Category, Gender, Price and Shoe Swipe will recommend the finest, high quality shoes to you.